TALENT SHOW (f. by Jeune). 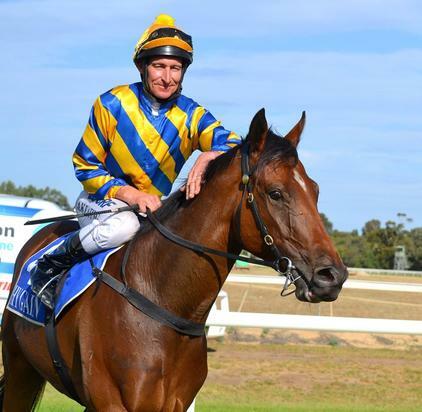 5 wins from 1200m to 2400m, A$492,145, WATC Perth Cup, Gr.2, Ascot Corporate Villas H., Assured Ascot Quays H., Perth Ice Works H., 2d SAJC Lord Reims S., Gr.3, WATC Goodwood Sprint H., L, Tabozbet.com.au H., Crown Perth H., Perth Racing on Facebook H., 3d WATC Perth Racing on Facebook H., Playeronline.com.au H., 4th WATC CB Cox S., Gr.2, Tattersall's Cup, L.
OREGON SPIRIT (g. by Bel Esprit). 8 wins from 1000m to 1600m, A$415,513, MRC (Mornington) Lord S., L, VRC Flight Lieutenant Peter Armytage H., SAJC Dominant H., MVRC Printhouse Group H., Bendigo JC Southern Cross Austereo H., 2d MRC Mornington Cup Prelude, L, MVRC Dominant H., Swan Hill Cup, MRC Perri Cutten H., MVRC Sportingbet H., Pendragon Tour of Victoria Final H., Direct Alarms Supplies H., 3d VRC Von Costa de Hero 2YO H., Flight Lieutenant Peter Armytage H., MRC Chase Hotel H., MVRC 1300 Australia Premium H., Bairnsdale Cup, 4th SAJC RA Lee S., Gr.3, Balaklava Cup, L.
Bel Seal (g. by Bel Esprit). 5 wins to 1400m, A$140,245, to 2014-15, MRC XFLAM H., William Hill H., 2d MRC Ascend Sales & Sponsorship Consultancy H., Ballarat TC Hygain H., Sale TC Eastcoast Paint Place Gippsland Middle Distance Series H., 3d MVRC Sistema Plastics P., Cafetto Clean H.
Biaseal - Special K (H.K.) (g. by Bianconi). 3 wins to 1400m, SAJC Mick Dermody Memorial H., HKJC Coloane H., 2d HKJC Hong Kong Lions Cup H., La Colline H., Electronic Unicorn H., 3d HKJC Kam Tin H.
Geegee Ryder (g. by Bianconi). 3 wins from 1200m to 1900m in Aust. OREGON SEAL (Oregon). 9 wins. See above. Seal Lago. 6 wins from 1100m to 1600m, TRC Betfair.com H.-twice, Kingston Australia H., 3d TTC Veolia Environmental Services H., TP Jones & Co H.
Falcons Lair. 3 wins from 1600m to 1800m, 3d SAJC Smoth & Hooper Distance P.
Trip Away. 2 wins at 1200m, CJC Ansett H.
Diamond Rich. 6 wins at 1400m, 1500m in Macau. Zephyr Town. Winner at 2000m in NZ. HAWKSPUR (Purrealist). 8 wins from 1600m to 2400m, A$1,343,830, to 2014-15, BRC Queensland Derby, Gr.1, ATC Chelmsford S., Gr.2-twice, BRC Rough Habit P., Gr.3, Grand Prix S., Gr.3, ATC Tooheys H., Blackwoods Apex Tools H., Turf Club H., 2d ATC Carbine Club S., Gr.3, Liverpool City Champion 2YO H., Significant 2YO Prelude H., 7steel Building Solutions P., TAB Sportsbet 2YO H., 3d ATC Chipping Norton S., Gr.1, Sky High S., Gr.3, Neville Sellwood S., Gr.3, 4th ATC Ranvet S., Gr.1, Doncaster H., Gr.1, George Main S., Gr.1-twice. Yallahi (Yallah Native). Winner at 1600m, 3d VRC Super Mild S.H., L, Janet Orr H.
Aureal Lass. 2 wins at 2, BATC CIG Oxygen H.
Race Record: 3 Starts 0-0-0 A$1,200.